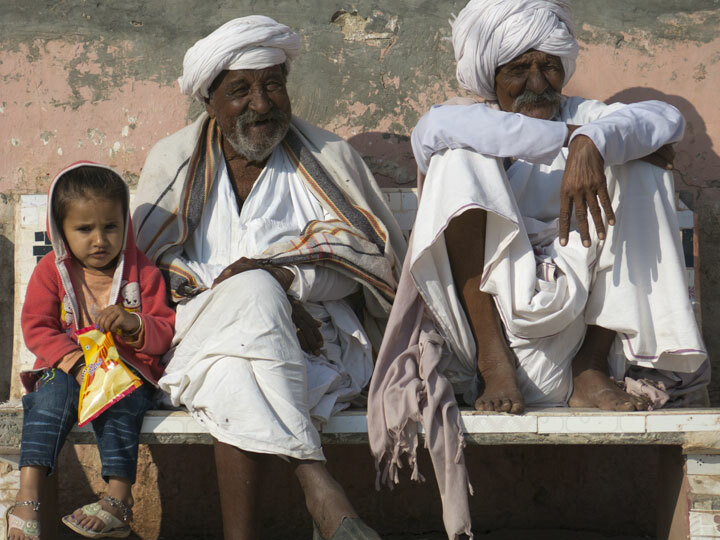 From the start of our Textiles and Temples tour around Gujarat, I was amazed how friendly almost all of the Indians were who we met. 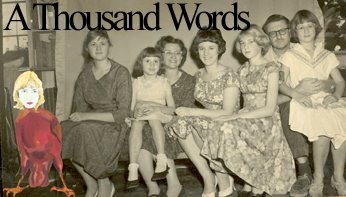 It reminded me of when I was first living in Spain, in 1969, when foreigners weren't that common there and the Spanish were very curious and friendly. Like Spain in the late 60’s early 70s, Gujarat today is still slightly off the beaten track for tourism in India. I and my two travelling companions were constantly running into groups of students, wedding participants, villagers, and other strangers, who wanted their pictures taken with us, or were happy to have us take their picture. Unlike the American custom of trying to smile for the camera, more often than not the friendly Indians put on more serious faces once the lens was focused on them. 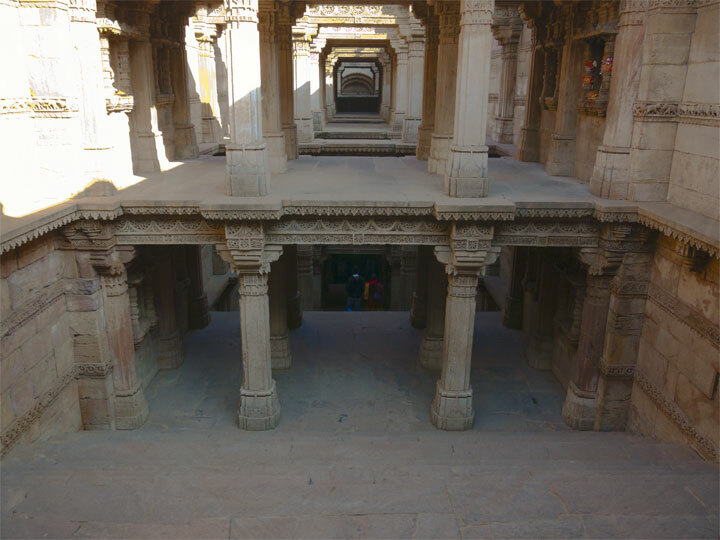 The three photos here were taken at the Adalaj Step-well in Ahmedabad. The students were clamoring to have pictures taken with all of us and the Rabari elders, with young girl, even smiled for the camera.